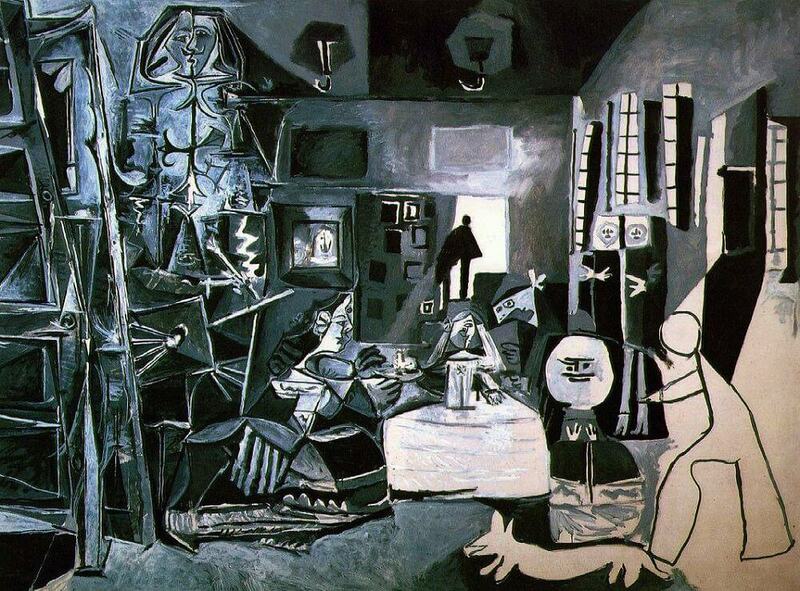 In 1957, Picasso started an extended series of variations on Las Meninas 1656 of Diego Velazquez. The series is both a confrontation with one of the most important works in the history of Spanish painting as well as a commentary on contemporary events in Spain, observed by Picasso from his exile in France. It was painted twenty years after Guernica and continues the political protest of this earlier painting against the treatment of Spanish Republicans in Spain. At the time he began the series, Picasso was involved in the Amnesty for Spain campaign to free Spanish Republicans still imprisoned eighteen years after the end of the Spanish Civil War.